Imagine the possibility of connecting with customers actively searching for information relevant to your sector. How would your marketing ROI be impacted if you knew your content was being consumed by potential customers specifically looking for information regarding your market niche? This is the potential of Quora. With 222 million site visitors in February 2016 (yes, that’s million! ), Quora is the number two reference site in the world. With 66% of their visitors coming from search engines (Jan – Feb 2016), that’s a a lot of eyeballs that could be finding their way to your content on Quora. If you’re convinced Quora needs to be part of your content marketing strategy, there are a number of ways you can maximise your opportunities. Consider the following 12 tips to ensure your outreach efforts on this mega-hit community site are optimised to their full potential. Once you actively start engaging on Quora, you’ll wonder why it took you so long to make this powerful site part of your content marketing strategy. Make sure appropriate keywords are included to help others find you, add all social media profile data, and include reputable profile links to build your reputation. While contributing helpful answers on Quora is your number one way to build credibility, the completeness of your profile will go a long way towards boosting your reputation. From Facebook and Twitter to Instagram and Pinterest, cross-referencing your Quora profile on multiple social media sites will help drive visitors to the helpful answers you provide on Quora. Remember this when answering questions. Don’t just assume readers will be from the U.K. or North America. This is especially important if you hope to grow your company internationally. Don’t be afraid to reference the answers of others when you’re answering questions on Quora. Not only will you be helping readers to discover informative content, you’ll be building your network at the same time. Commenting on answers is also highly recommended. If you can add more to a conversation, chime in with additional content that may be of use to readers. This is not an opportunity to drop your website URL or spam others with irrelevant chatter. Quora is about contributing quality answers of value to the community. Your company website link is in your profile; leave it there. Follow others on Quora to build your network. What type of companies and founders do you want to build relationships with? Understand where your connection opportunities are build relationships naturally. 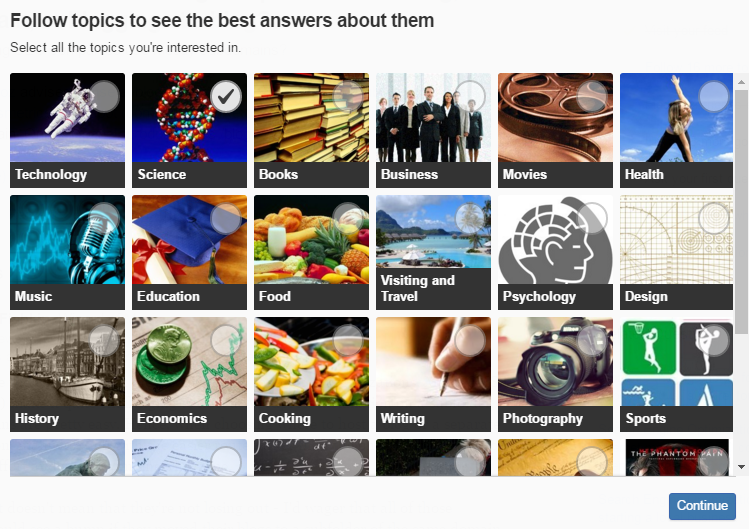 Add images and media files to your answers on Quora. The more engaging your answers are, the greater the chances others will share them on social media. Think of an answer on Quora like a mini blog entry. Make your content engaging and helpful for maximum appeal. Follow Quora topics related to your market sector. Check your notifications on a regular basis. Make sure you’re providing answers of value to potential customers instead of attempting to network with leaders in your niche. If you spend too much time on Quora trying to build a following of market leaders, you just might overlook the opportunity to make real connections with customers interested in your products/services. Share your Quora answers on social sites like Twitter and Facebook. There’s nothing wrong with drawing attention to helpful answers you’ve provided. Optimise headlines on Quora the same way you would a blog post. Try different types of headlines to see what works best and draws the most readers. Draw inspiration from Quora to create blog posts on your own site. Find a question you think you can elaborate on. Write a full-length blog post and link to your Quora answer. You’ll be amazed at the bounty of content ideas on Quora if you just do a little digging. Pay attention to the way you format your answers. Just like on your own blog, Medium, or LinkedIn Publishing, readers don’t want to be greeted by a giant wall of uninterrupted text. Use bullet points and indents to draw the reader through your answers. While a multitude of marketers are targeting LinkedIn for their content marketing efforts, few are utilising Quora to build brand authority. While authoring content on LinkedIn or Medium is great, Quora helps you connect with potential customers who are actively searching for responses from knowledgeable experts like yourself. Where do you think the greatest marketing ROI is going to be? On a platform where you hope a customer might discover your content or on a platform rife with potential customers searching for answers?